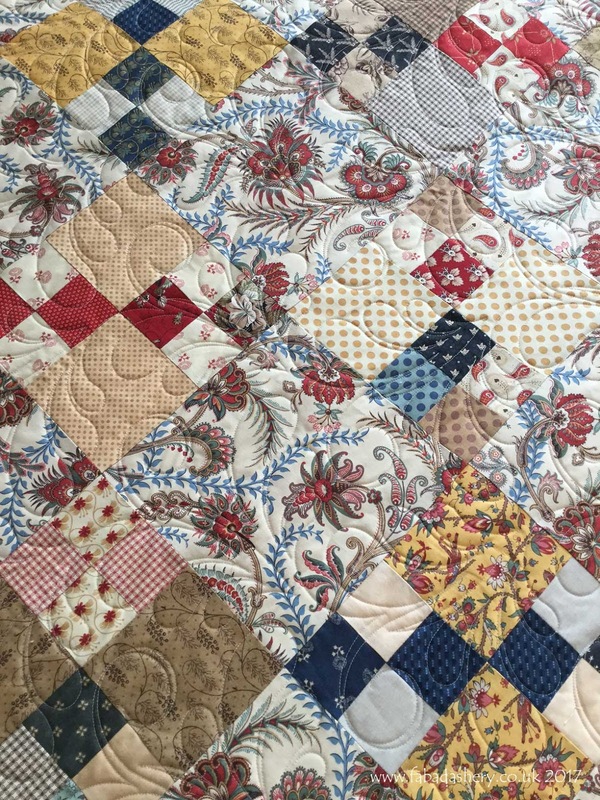 Choosing a pattern for a quilt can be difficult at times. Luckily with this quilt made by Dilys there were some clues in the piecing. 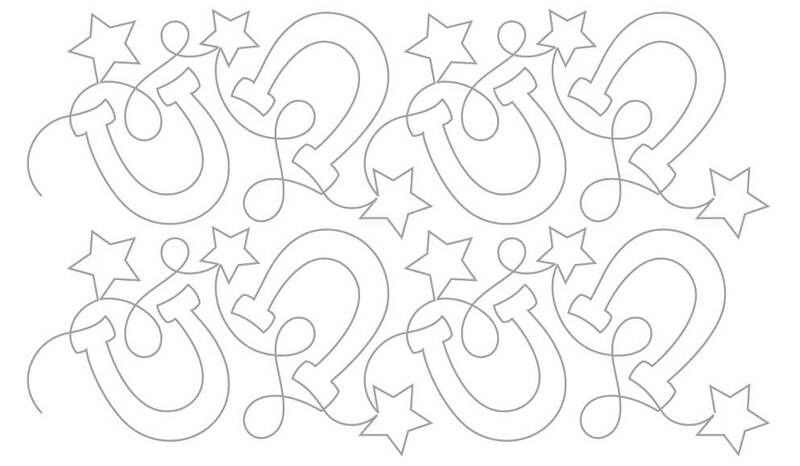 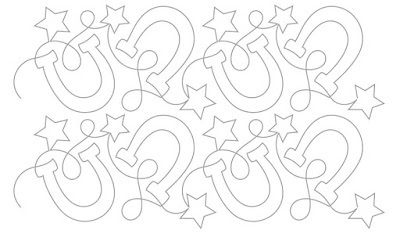 Dilys had used some novelty fabric featuring horses for the centre of her blocks, so I was able to find this digital quilt pattern called 'Horseshoes and Stars' designed by Jessica Schick. 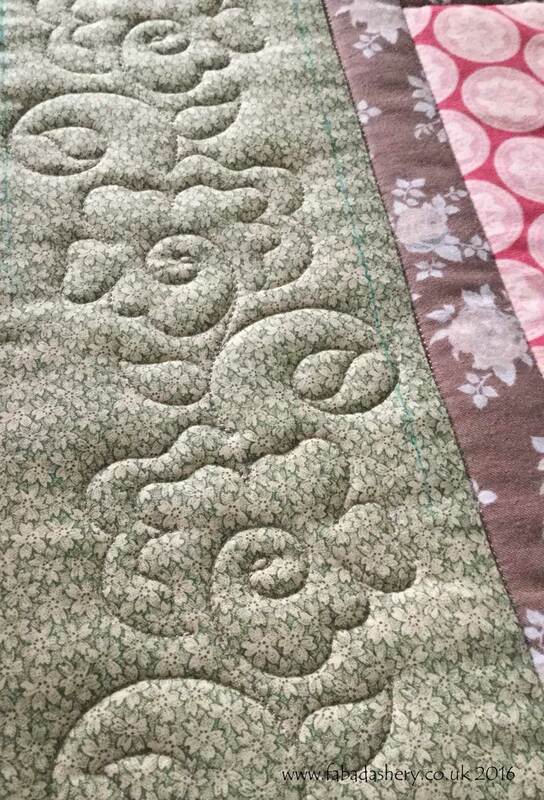 Are you making a quilt for a horse lover? 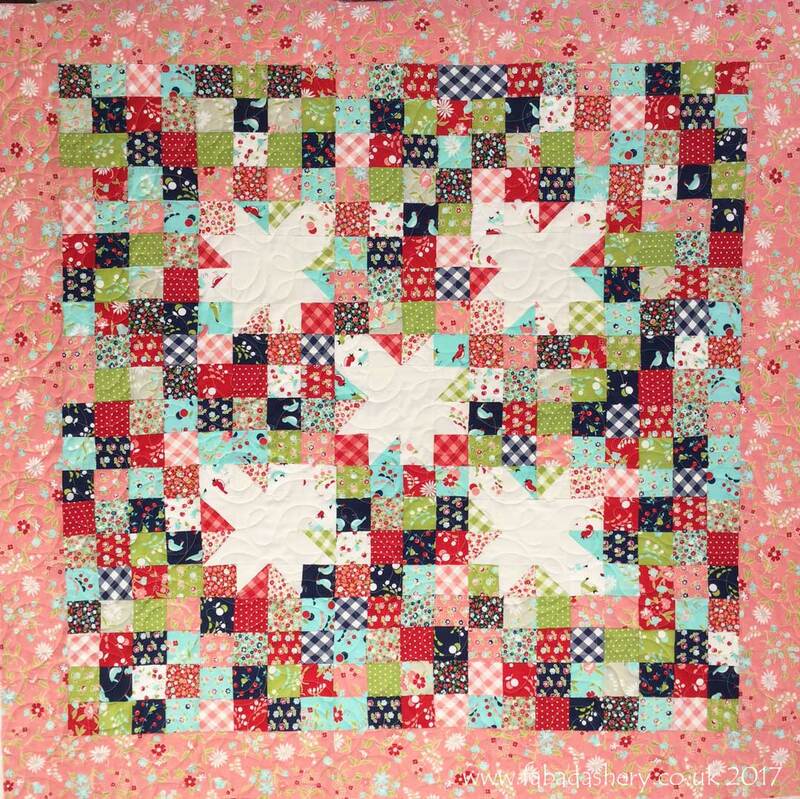 Maria has twin grandchildren, a boy and a girl. 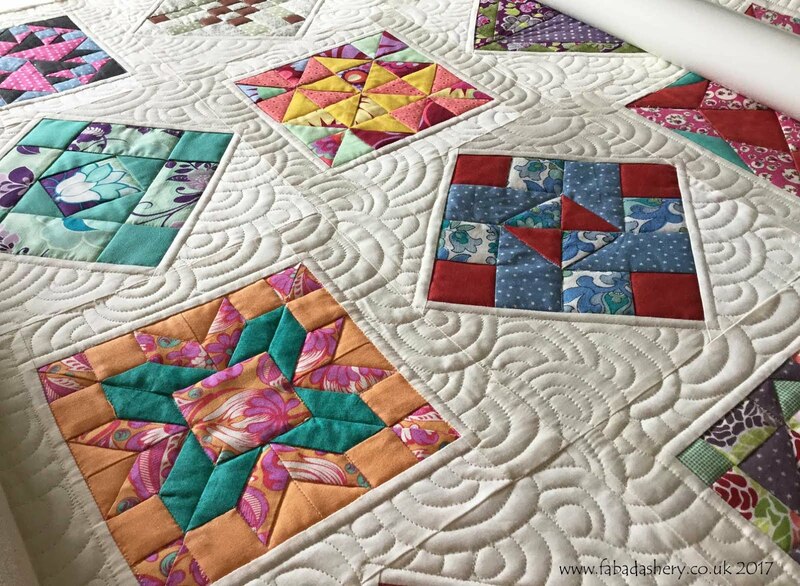 She made the quilt for her grandaughter last year, and this year she has been focussed on this fabulous quilt for her grandson. 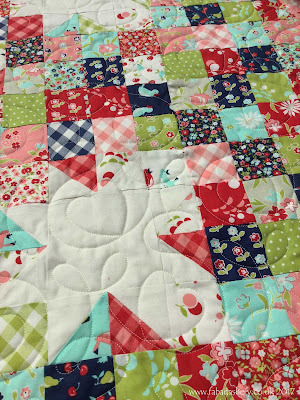 It is often more tricky to make a quilt for a boy, but I think this pattern and the colours she has chosen look amazing. It is mainly red, blue and green fabrics, but I noticed a few footballs slipped into some of the blocks. 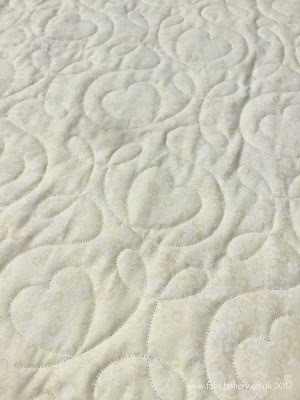 You can also see that Maria made a scrappy binding for the quilt which I added as part of the service and finishes the quilt off perfectly. 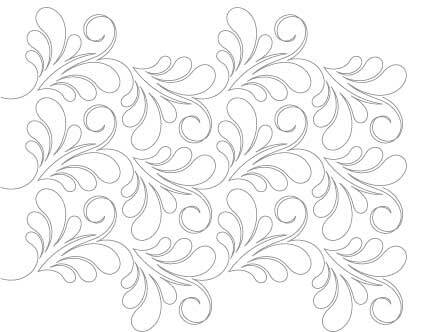 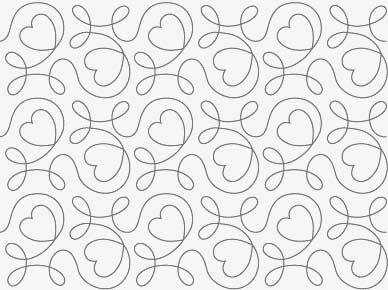 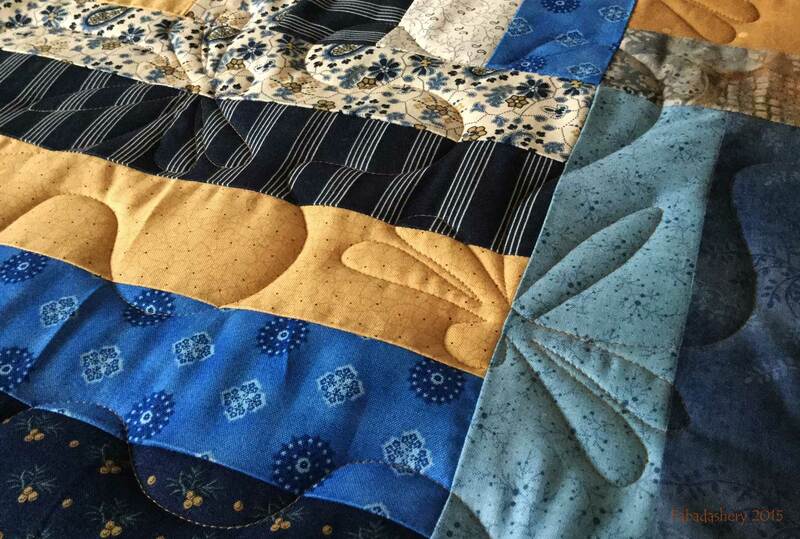 To finish it off I used a popular digital quilting pattern, Modern Curves, designed by Anita Shackleford. 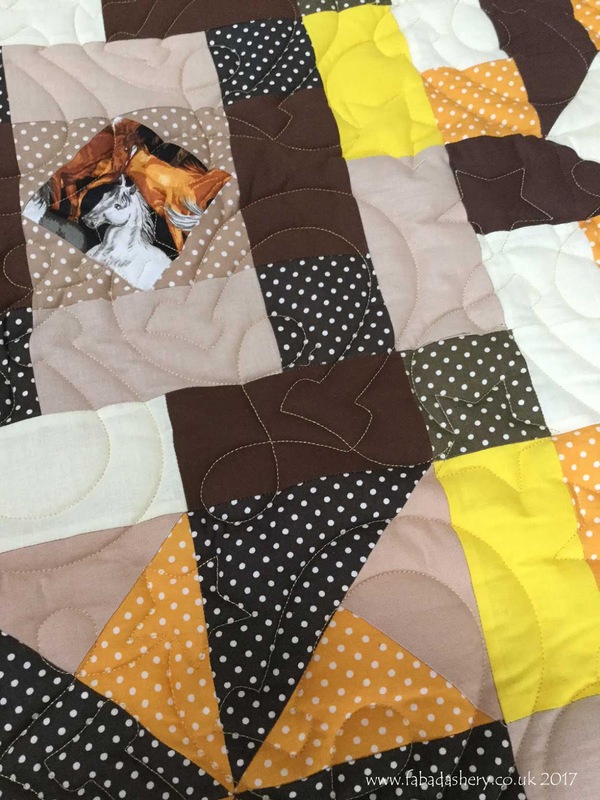 I hope these grandchildren realise how lucky they are! 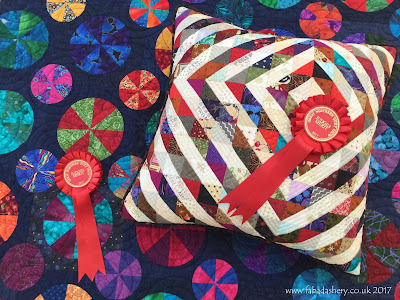 The postman has just been and I have just received my quilt and cushion that I entered into the 2017 Great Northern Show, Harrogate. I received a Judges Merit for both, so a couple of pretty rosettes to add to the collection. 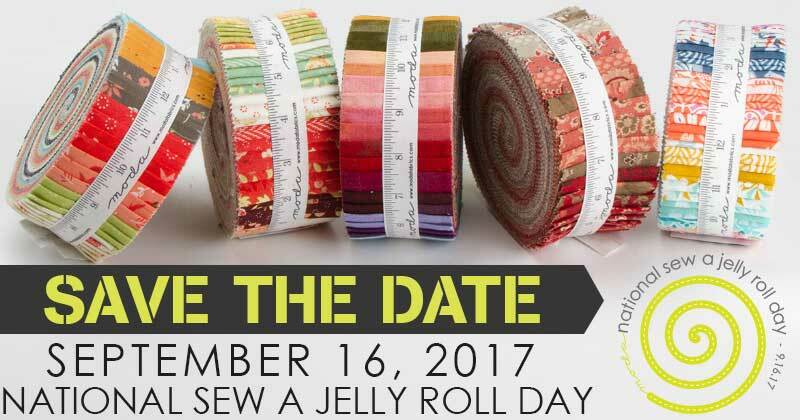 This Saturday is National Sew a Jelly Roll Day 2017. We all have them in our stash - so delicious that we dare not pull the ribbon to un-roll them. 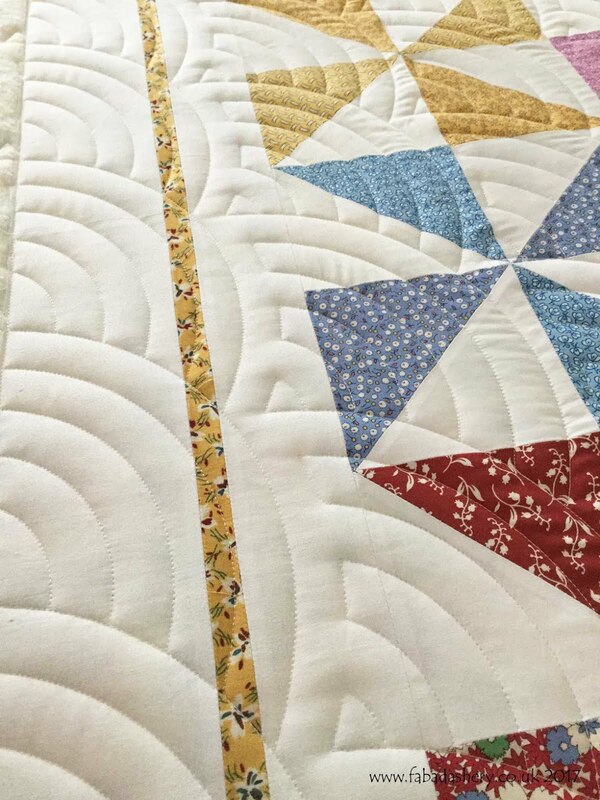 I have made one quilt using a Jelly Roll, but as part of my long arm quilting business plenty pass through my hands. 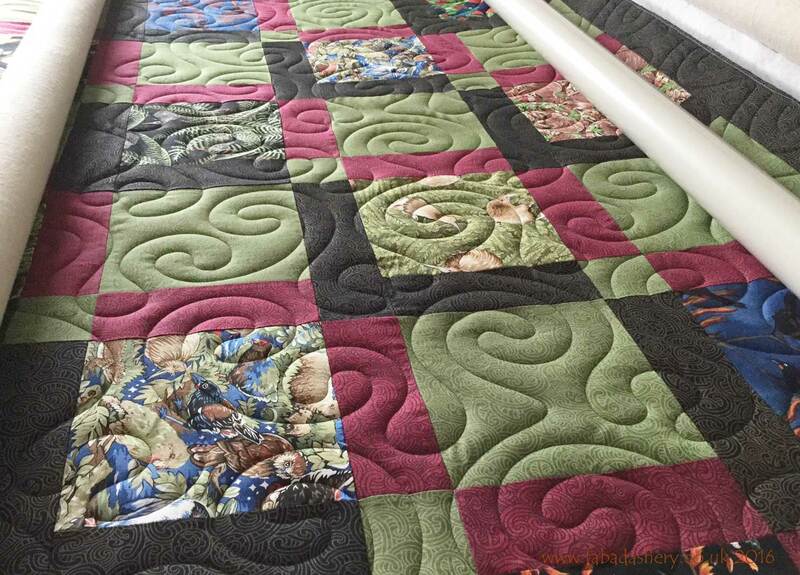 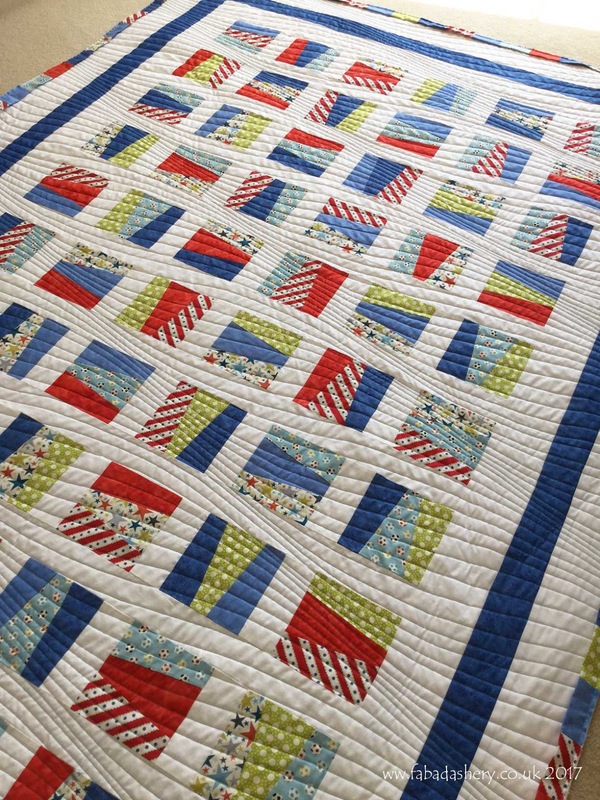 You may have seen the Christmas Jelly Roll quilts made by Ann. 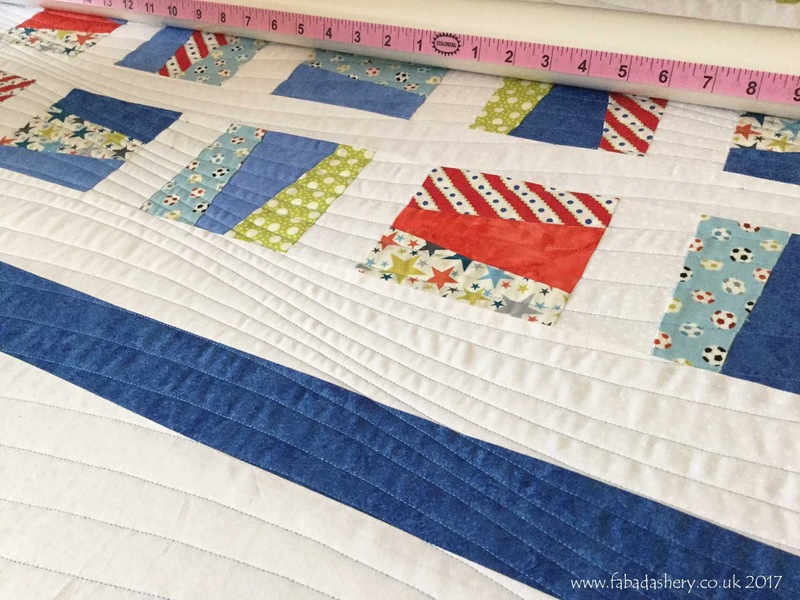 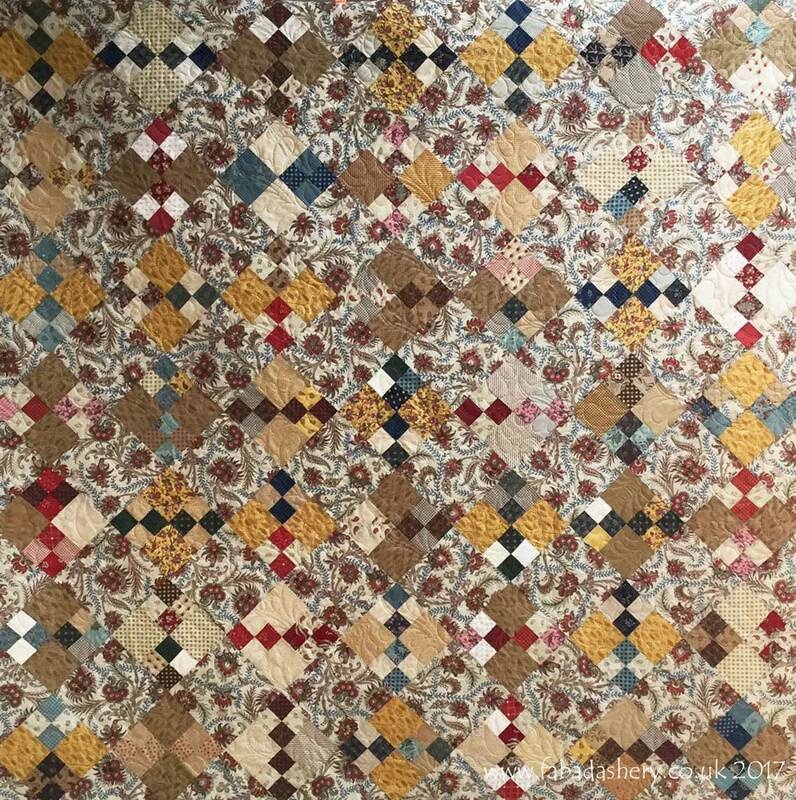 With the matching colours of the fabric range in a Jelly Roll you are sure to get the look of a cleverly co-ordinated scrap quilt. 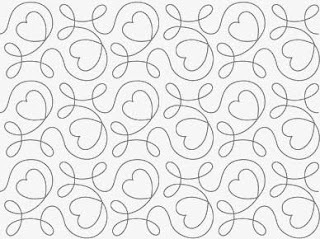 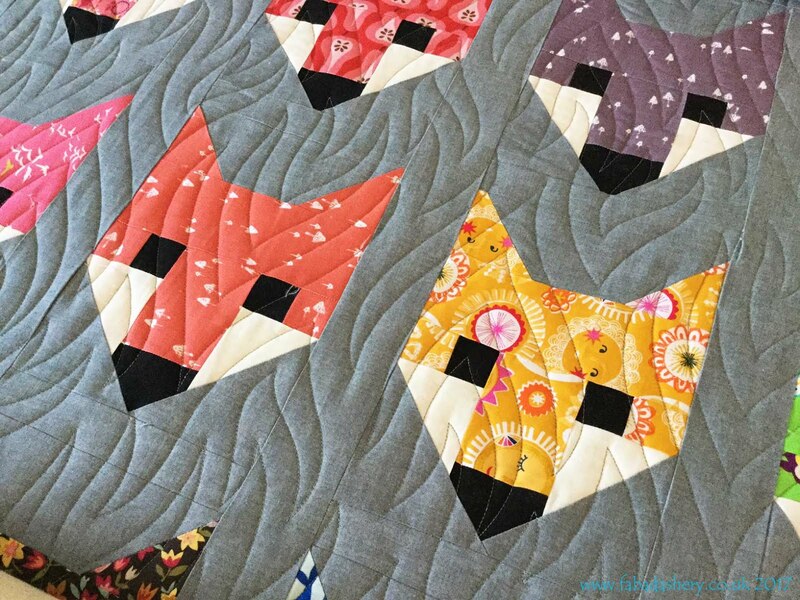 To finish of the quilt I used one of my most popular computerized patterns, 'Ginger Hearts' designed by Apricot Moon. 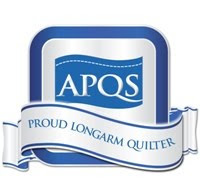 Why is it so popular - because it always gives great results. 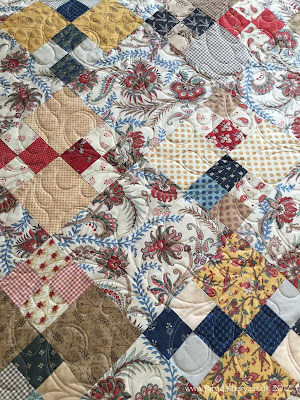 Sometimes the inspiration for a quilt is a lovely range of fabrics. 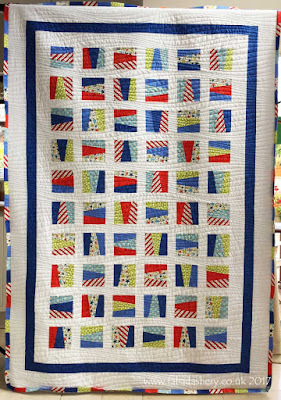 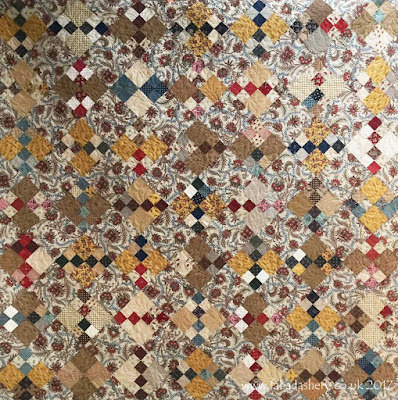 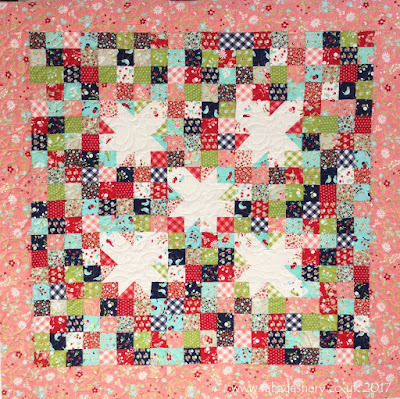 This quilt made by Lesley uses the 'Love' collection by Howard Marcus for Moda. 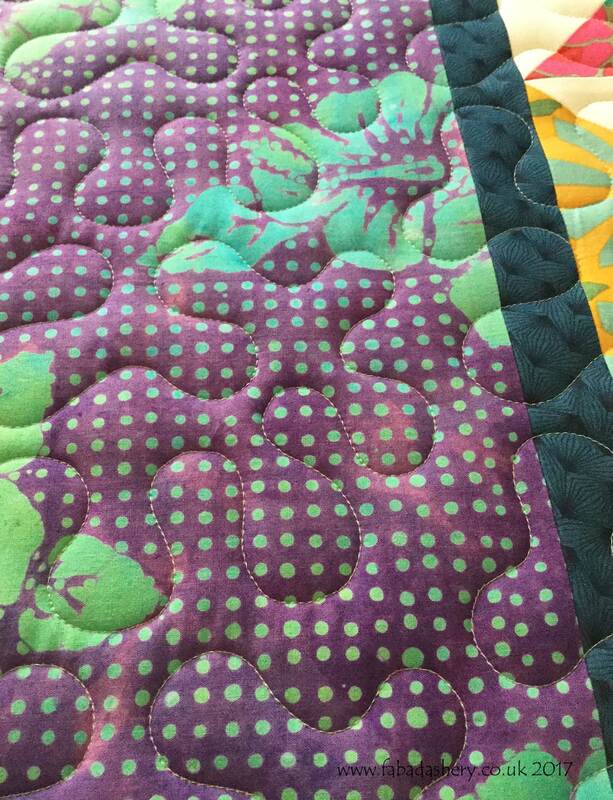 The pattern she has chosen really shows off the gorgeous prints. 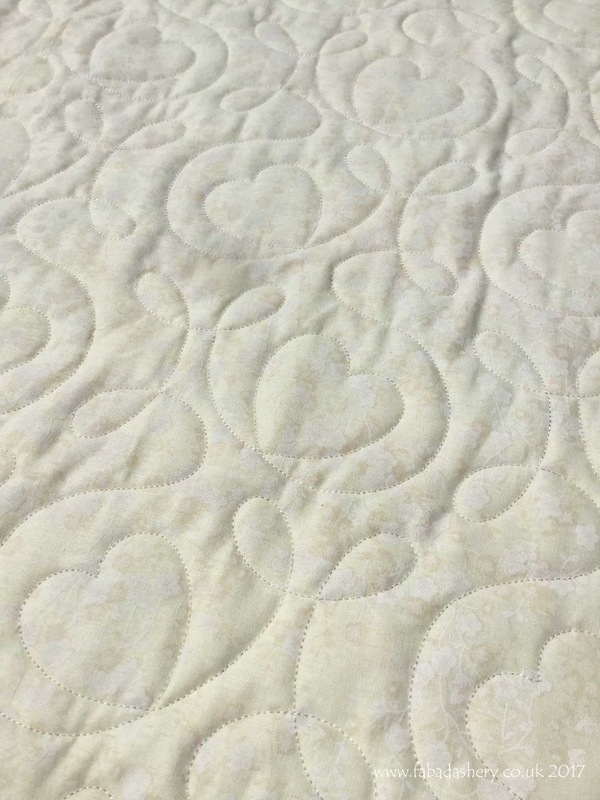 To keep with the elegance of the fabric prints, Lesley chose a digital quilt pattern called 'Allouette' which has lovely swirls and feathers, which flowed over the quilt beautifully. 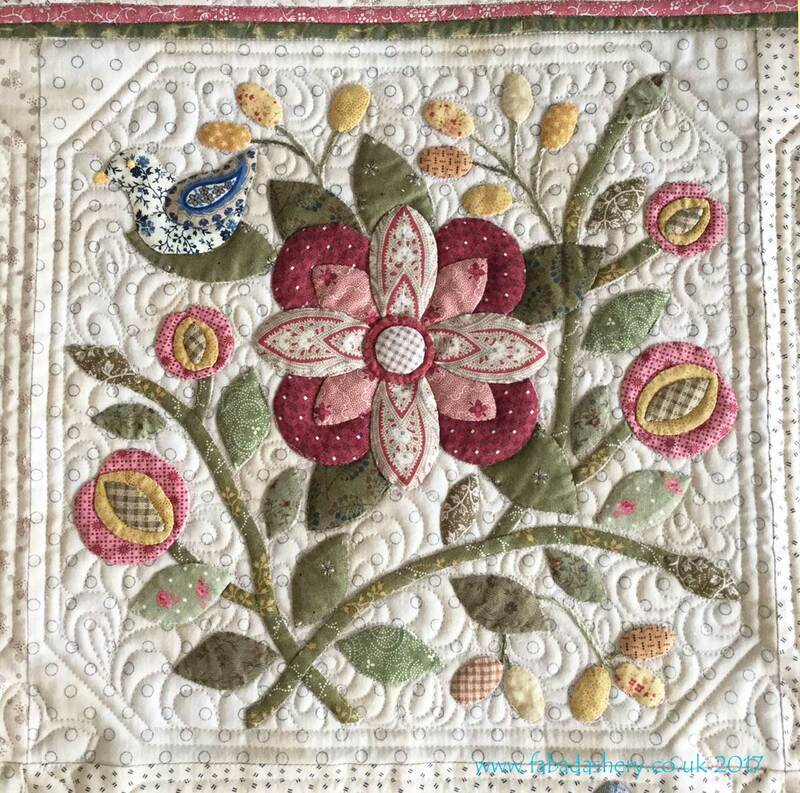 It is one of my favourites and it always has adds an elegant touch to a quilt.